Last, but certainly not least, to Mayor Greg Fischer. 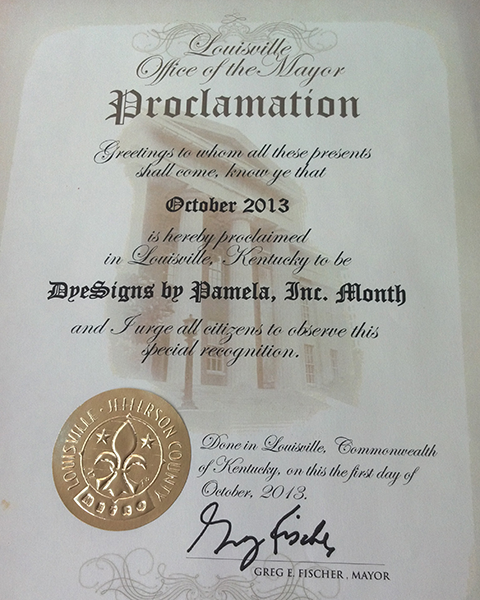 Thank you for sharing the contest on your Facebook page and promoting it to the Louisville community. 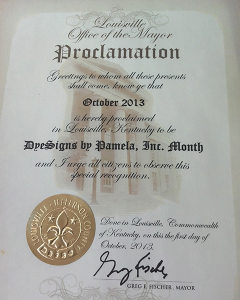 And thank you so much for declaring October 2013 to be DyeSigns By Pamela, Inc. Month. It has been an honor to celebrate this momentous occasion for not one, but thirty-one days.